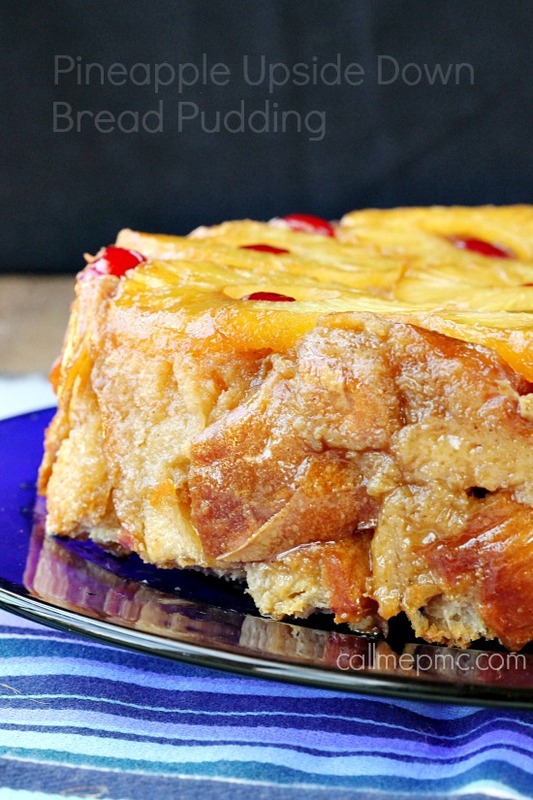 of the traditional upside-down cake, but in bread pudding form! with a super moist, buttery, melt-in-your-mouth interior. 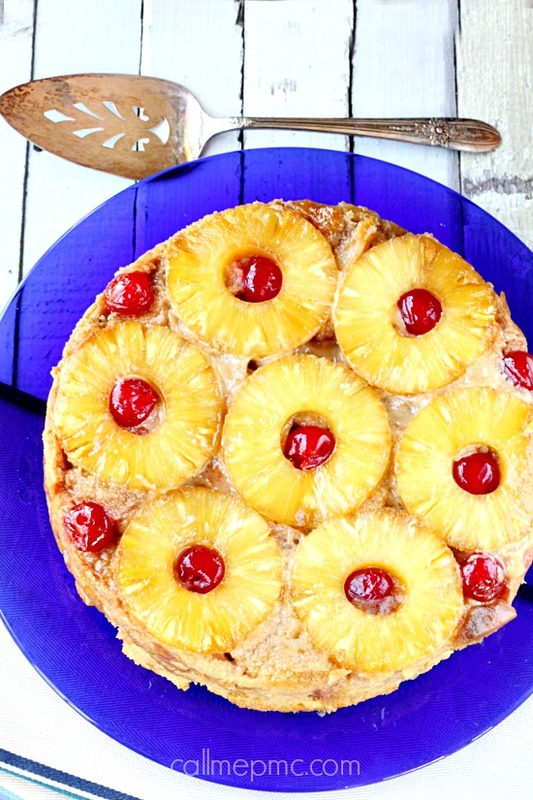 Pineapple Upside-down Cake makes me think of Spring. I don’t know, maybe it’s the pineapple maraschino combo. I always have that fruit combo in my favorite cocktail! And I have this cocktail on the beach. I go to the beach in the Spring and Summer. 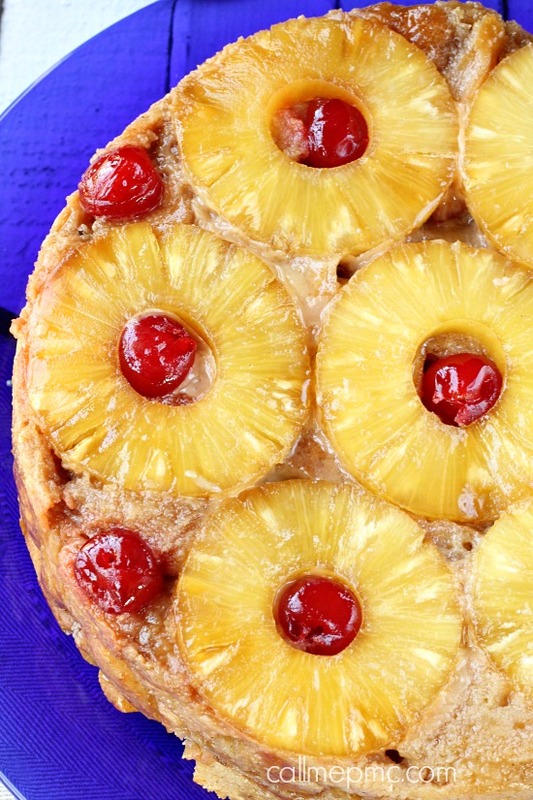 So hot weather equals pineapple maraschino combo equals Pineapple Upside-Down Cake. See how my brain works? Beware, it’s a pretty scary place! 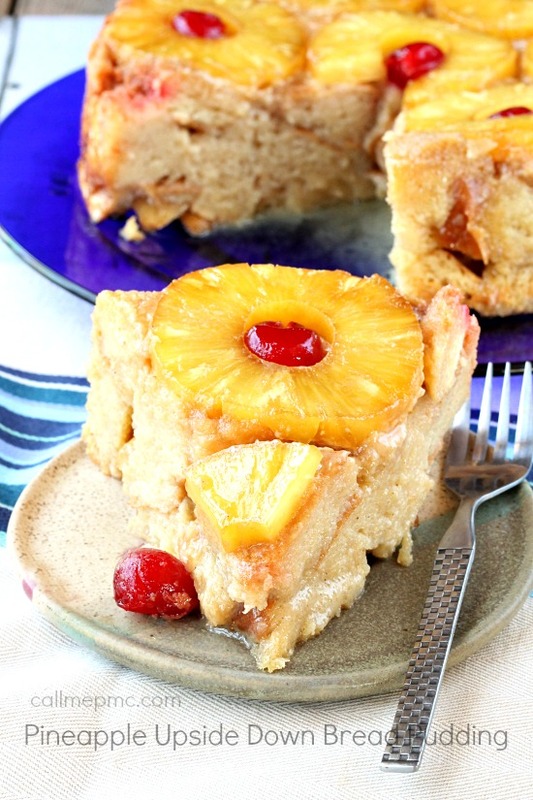 I’m so excited to share this Pineapple Upside-Down Bread Pudding with you today. I normally am scheduled out on the blog about three weeks ahead. I’m so excited about sharing this that I rearranged to post it earlier! I had a brainstorm (my brain was working overtime!). I had old bread I needed to use, but I wanted pineapple something! 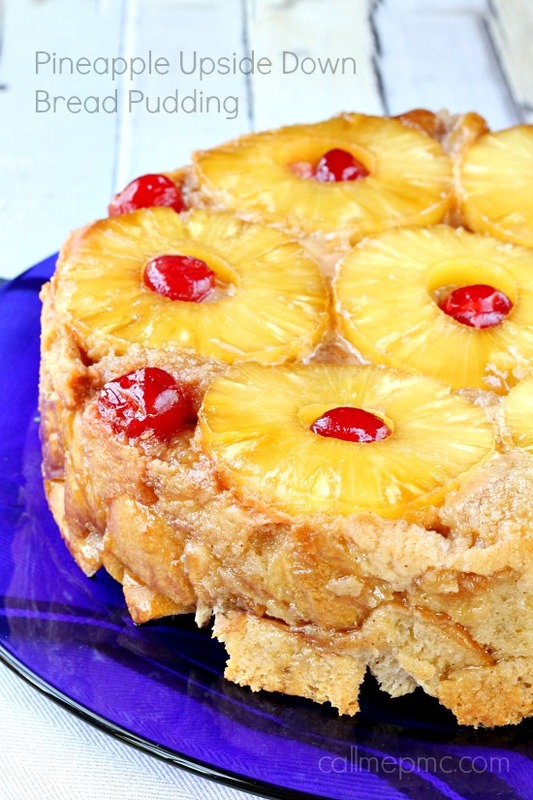 So this fabulously tasty Pineapple Upside-down Bread Pudding was born! The butter and brown sugar cook and caramelize making a crispy outside. The pineapple and cherries almost turn into candy during the process. Have you ever had candied orange or other fruit? That’s what I’m talking about! 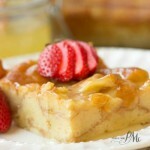 Even though the outside is crispy and the fruit is caramelized, the center of this bread pudding is smooth and creamy. This bread pudding has a slightly sweet glaze that the brown sugar and butter create but it’s not an overly sweet or over rich dessert. The cherries offer a tart tangy-ness which is the real kicker. The combo of the buttery brown sugar and cherry juice seeping into the cake will be the reason you can stop eating this dessert! It’s the reason I had to give it to a friend so I wouldn’t eat the entire cake! I made this bread pudding twice in order to perfect it before sharing. I added ground cinnamon the second time and it made a huge difference. The cinnamon gave a nice back note of flavor and paired well with the pineapple. 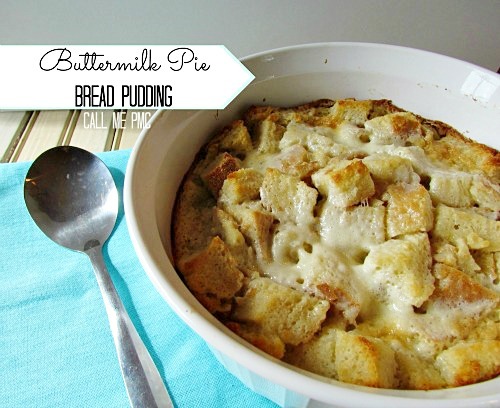 Are you familiar with making bread pudding? 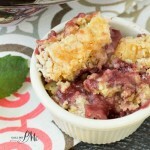 It’s an economical dessert to make. That’s why a lot of restaurants have it on the menu. It’s a way for restaurants to use their old bread and not have that waste. Actually, it’s preferable to use old bread rather than fresh bread. Not old like it has mold specks on it, but old as in slightly dried out. When bread is dry it will absorb the custard better. 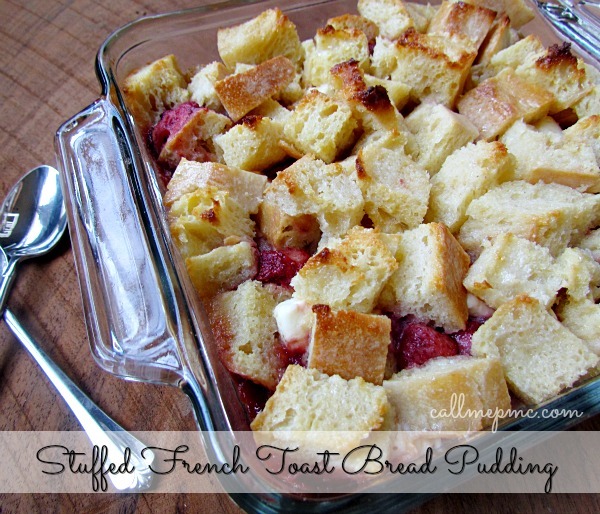 I usually get french bread that has been discounted at the grocery store for my bread pudding. I save about 50% buying old bread. It adds up. This cake is best fresh out of the oven maybe even with vanilla ice cream. I enjoyed it without ice cream and it was fantastic. If it isn’t devoured immediately you want to store this moist cake in the refrigerator. Of course, you could eat it cold, but I recommend heating the leftovers up one slice at a time in the oven or toaster oven. This will crisp up the outside again. Although popping it in the microwave is super easy and quick, to me it changes the texture and for once, I’d rather be patient and heat it in the oven. 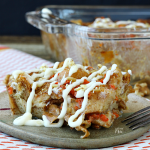 This Bread Pudding contains all the wonderful fruity flavors of the traditional Pineapple Upside Downcake, but in bread pudding form! 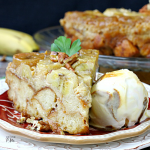 It has a caramelized top layer with a super moist, buttery, melt-in-your-mouth interior. Mix evaporated milk and sweetened condensed milk together. Beat eggs, add to milk and stir. Add vanilla, sugar, cinnamon and salt to milk mixture and stir. Pour milk mixture over cubed bread in a large bowl. Wrap heavy aluminum foil around bottom of 10 inch spring-form pan. Heat oven to 375 degrees and melt butter in oven in the spring form pan. Remove from oven and sprinkle brown sugar evenly over butter. Carefully, spoon breading mixture over pineapple slices. Press firmly down. Bake in a 375 degree oven for 40 to 45 minutes. Center will be set and bread golden brown. Allow cake to cool 10 minutes in pan before inverting on a serving platter. I think you’ll like these recipes too! Click picture for recipe! 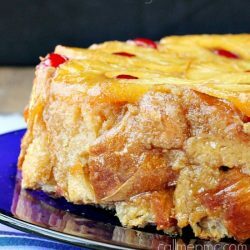 I’m making this for a friend, his favorite cake is pineapple upside down , I love bread pudding! Will use an iron skillet I think. My old favorite uses stale hot dog buns. Makes a silky textured pudding. My sister’s specialty! Loved this recipe. 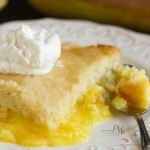 Wasn’t sure my DH, who loves pineapple upside down cake, would love it but turned out to be a huge hit! A definite keeper, thanks. 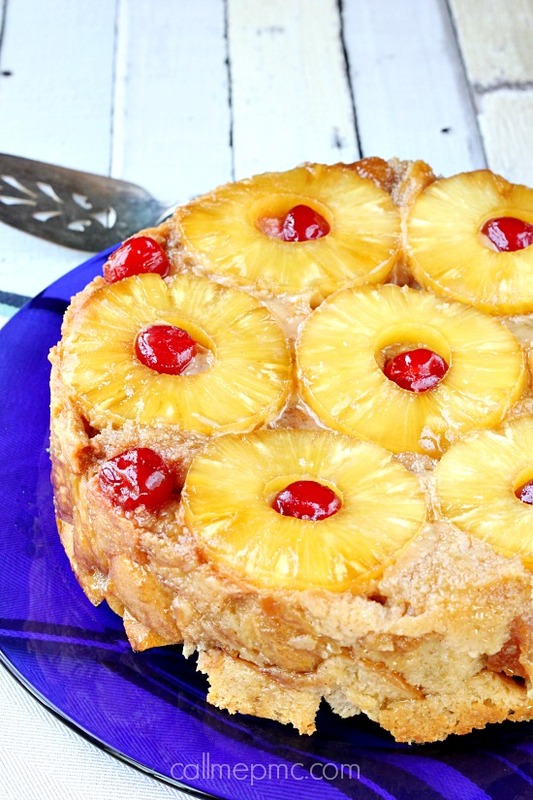 Hi…….This looks great I am wanting to make this for the fourth and was wondering if you can use a different type of pan and if you can maybe double this for a bigger pan? I used a spring form pan so it would be easier to dump out. 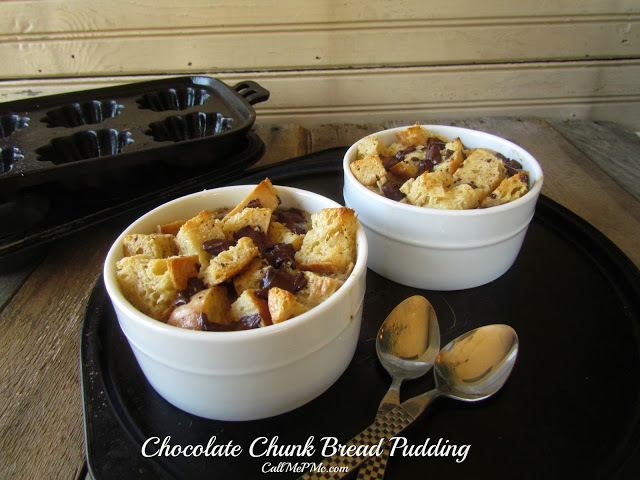 You don’t have to dump it and leave it in the pan like most bread puddings are served. If you don’t plan to dump it, you can use any shape pan. You can also double the recipe and use a larger pan. I would not plan on dumping it out if you use a larger pan, this size was hard enough to dump and not break/crumble.